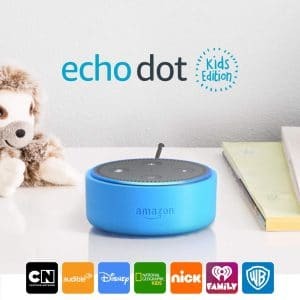 Save 50% off Echo Dot Kids Edition! This is a great Easter Basket filler idea for this year. This is something I’m highly considering ordering for my kids. My son LOVES to ask our Echo Dot, “Alexa, play baby shark!” My girls love to take it upstairs and listen to music while they are doing chores! This purchase would allow them to keep it up in their rooms instead of taking mine. 😉 I personally love my Echo Dot for listening to music while I work downstairs or when I’m doing dishes/cooking. I play the praise and worship station on Pandora throughout the day.